I'm going to be honest, I'm not a huge blush person and actually rarely wear any. I don't know why but it's just always a step that I skip in my makeup routine and I want that to change since I have too many beautiful products just sitting there neglected. So I have put together a guide to perfectly rosy cheeks with options of all types and from all price ranges, there is something for everyone. This post is also aimed to inspire me to use the stuff on the daily since if I ever do use blush, it's always my bronze and neutral shades. You can't go past a traditional MAC powder blush and this particular colour is well suited to create a natural rosy cheek. If I were to purchase just one MAC powder blush then I would definitely recommend this one because it is the perfect shade for everyday and you will get your use out of it in comparison to a hot pink or a bright orange. This is a lightweight cream that seamlessly blends into the skin for a super natural finish. The colour is light and bright, suiting most skin tones. The gel-like finish is my favourite part about this product since it sets it apart from the rest. It's $2.80, is there much else to say? If you are looking for a cheap alternative to a blush colour then this is it. The quality of this cream blush is comparable to that of the aforementioned Girlaktic Beauty product only it's a fraction of the price. This lovely product is a great dupe for the MAC "Ladyblush" Cremeblend Blush (which I will talk about later in this post) so it's great if you are looking to save a bit of money by buying the drugstore dupe. Help make up your mind with this comparison post. 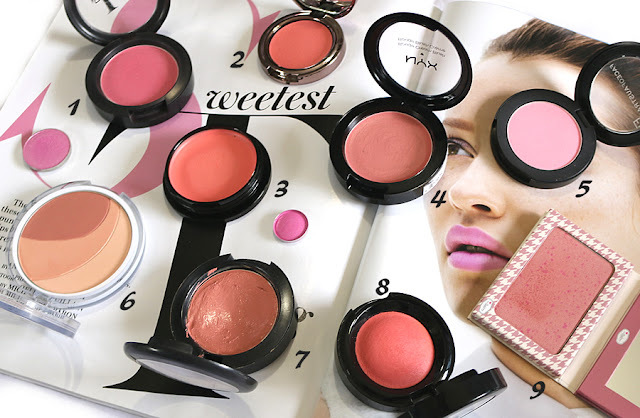 If you take this blush on face value you might be put off by it's bright pink appearance but since the formulation is not super pigmented, the colour is extremely wearable. If you are looking for a brighter alternative to deeper pinks or dusty reds then this is a great alternative. Not to mention that the pricing on this product is fantastic. This blush might just be the most interesting of the bunch, with three different shades that can be mixed and matched between eachother. I love the versatility of this product where I can achieve both a deep mauve and a highlighted pink all with the one blush. This cream product perfect all year round; from dewy Summer makeup looks to hydrating dry skin in the Winter. The dusty rose colour is extremely creamy and a buildable pigmentation depending on the look you are going for. This is definitely my colour pick from the cremeblend range. The standout about this product is the formulation because the velvet consistency of this makes it a luxe blush that you will want to use everyday. The colour is slightly more difficult to pull off than the rest but it can look great. These gorgeous blushes have the cutest packaging, encased in pretty magazine inspired designs. The colour is this blush is beautiful; a rosy pink with deep red speckles throughout. A gimmicky design with a product that actually works is a total win in my eyes. 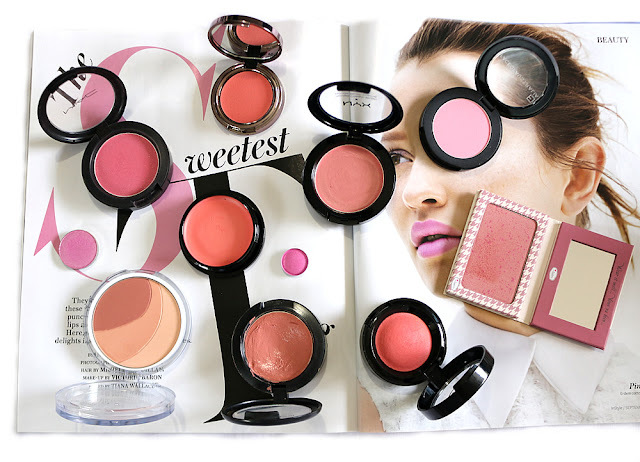 That is a complete run down on my guide to natural blush, I hope you have taken away some inspiration from this post and fingers crossed that some of these products will make their way into my everyday makeup routine.